Suicide is a preventable tragedy. It is a thief that seeks victims from all races, socioeconomic classes and age groups, even America’s youth. Newly released data from the 2004 National Survey on Drug Use and Health reveal that approximately 900,000 youths ages 12–17 made a plan to commit suicide during their worst or most recent episode of major depression, and 712,000 acted on that plan by attempting suicide. One young person contemplating suicide grips our hearts. Nine hundred thousand young people contemplating suicide grips our collective conscience. Fortunately, we have made great progress in identifying risk and protective factors for suicide. We know that mood disorders and substance-use disorders, especially in combination, increase the risk of suicide in young people, and strong family bonds and school success can foster resilience. To put this knowledge into practice, SAMHSA supports a suicide prevention resource center, suicide prevention efforts on college campuses, and state and tribal youth suicide prevention and early intervention programs across the country. 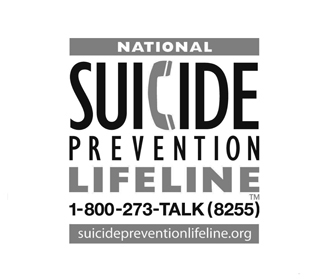 We have also launched the National Suicide Prevention Lifeline at 1-800-273-TALK and www.suicidepreventionlifeline.org. Working together in public-private partnerships, we can help end the silence of suicide and eliminate the stigma of seeking mental health services. Charles G. Curie, MA, ACSW, was administrator from 2001-2006 of the Substance Abuse and Mental Health Services Administration (SAMHSA), an agency within the U.S. Department of Health and Human Services.